see this post Percival Leavitt of York for more information. John Leavitt's birthplace and parents are unknown. Many websites and ancestry.com trees list Percival Levett of York and Beverly, England as his father but there is nothing that links these two men. Based on what I have read about Percival, he is not a candidate for John's father. Percival's older brother Christoper Levett was an early explorer of the American coast, he was born 5 April 1586. Percival and Christoper were sons of a wealthy York merchant. Christoper became interested in the Americas and became and explorer. 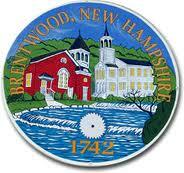 He was granted thousands of acres of land, and founded York, Maine. He knew all the movers and shakers who held interests in America. Christoper was older than Percival, so his, Percival's, date of birth was closer to 1590 than the 1580 that is given on many websites. Percival was made a Freeman of the City of York in 1612. He would not have been allowed to work as a merchant without this privilege. If he was just beginning his career in 1612 he was most likely still a young man. If he was 21 the year he became a Freeman, his year of birth would have been 1591. Percival, like his father before him, was a wealthy merchant. If John was his eldest son, he too would have apprenticed as a merchant. The family grew in wealth and some members eventually married into the minor nobility. I can find no reference to his marriage other than one in which he is named in the settlement of his wife's previous husbands estate in 1648. Her name was Jane Wayd. I also found baptismal dates for five of his children beginning in 1630 with Martha and ending in 1649 with Samuel. This does not "jive" with the birth dates given on many websites. These are recorded in parish records of St. Michael Le Belfry in York. I see no reason to believe that Percival was John's father. The exact date of John's arrival in the Massachusetts Bay Colony is unknown. The Leavitt Family Association says that he may have been in Dorchester as early as 1628. Dorchester was not founded until 1630. If he was there in 1628 he was all alone. There is supposedly a family legend that John was a runaway apprentice when he can to the colony. Based on his birth year of 1608 and that he had to have been under 21 when he arrived for this to be true, he has to be shoehorned in prior to his 21st birthday, hence he had to have arrived by 1628. John is recorded as having received his first plot of land on 1 September 1634. This would make 1634 a more reasonable year for his arrival. He was granted more land later that year and in 1635. He was accepted as a member of the church Dorchester and on 3 March 1635/6 he was made a Freeman of the Colony. According to the family legend his old Master learned of his whereabouts and came out to the colony and took his land from him. This seems a bit far fetched to me. Would his supposed master really spend 8-12 weeks making an arduous risky crossing of the Atlantic to take a bit of land away from John? And then sail back to England, spending over six months to accomplish this transaction. What is known is that John sold his Dorchester land to Mr. Thomas Makepeace, the "Mr." indicating that he was of high standing in the community, and probably wealthy. He was not a tailor and he was from Warwickshire and not from York, and he did not return to England. On 7 July 1636 John Leavitt was given land in Hingham, which is some 15 or so miles to the southeast of Dorchester. He married for the first time in 1637. His wife's name is said to be Mary Lovet. This is based solely on the admission to the Dorchester church in 1638 of a Mary Lovet. But John did not live in Dorchester in 1638 he was in Hingham so how could this be his wife. Her name was never recorded so we don't even know what her first name was, never mind her surname. John and his wife had five children. A child arrived fairly predictably every two years. While his wife was busy with childbirth and child rearing, John worked as a tailor and accrued, bought, sold and farmed his land. His homestead is said to have been at the site of the current Leavitt Street in modern Hingham. He had land that was close to the coast, saltgrass meadows, near Cohasset and land stretching towards Scituate. He also had land near Straits Pond, which is so named today. This was the typical method of dividing land in those days, instead of getting on great parcel of land, it was handed out in stages, resulting in ownership of smaller plots of land spread out all over the place. This would usually result in buying, selling and trading in order to consolidate their holdings. John's first wife died on 3 July 1646 four months after giving birth to her fifth child. She was buried two days later. Even in death, her name was not recorded, her entry read John Leavit's wife dyed. On 15 December 1646 John Leavit married for the second time. The second wife fared no better than the first, her name goes unrecorded until John writes his will. Her name was Sarah. 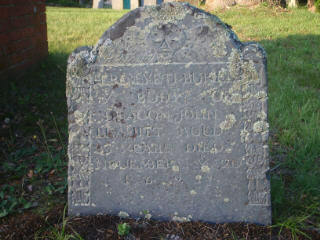 Sarah is said to be Sarah Gilman, daughter of Edward Gilman of Higham and Exeter. There is no proof that she is the daughter of Edward Gilman but based on circumstantial evidence it is believed that she might be. This evidence, for what it's worth, is the close relationship between John Leavitt and Daniel Cushing, also of Hingham. Daniel was married to Lydia Gilman, sister of Sarah. Anyway, in 1646 John was a man in need of a wife. He had five small children who needed a mother and he needed someone to cook, clean, and all the things necessary to survive in those days. With Sarah he would have eight more children. All of their recorded children lived to adulthood, a rarity in those days. By the mid 1650's John was a mature man with a large family. He began to be called on to perform his civic duties to the town. He was Deputy to the General Massachusetts Court, Commissioner to End Small Causes, and served on the Suffolk, County Grand Jury. He held the rank of Sergeant in the local militia. By 1675, when John was 67 years old, he was made a Deacon in the church. This has been made much of by some of his descendants and he is widely known on the internet as "Deacon John". Each church would elect several deacons to assist the town minister. They could preach in his absence and perform other ministerial duties. They were often times responsible for communion service and providing the communal wine. They might be responsible for oversee the poor of their parish and the contributions given to the parish by the congregation. In any case, one must assume that John Leavitt was a very pious man to be elected as Deacon. The meeting house in which John worshiped stands today. 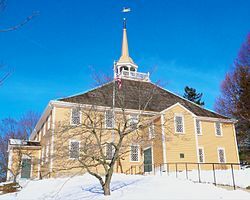 The oldest puritan meetinghouse in existence. It has been altered over the years but has managed to survive and is still used. It is called "The Old Ship Church". John wrote his will on 30 Nov. 1689. It was proved 27 Jan 1691/2. He divided his estate among his 9 surviving children and two grandchildren after the death of his wife Sarah. Sarah lived on until 26 May 1700.